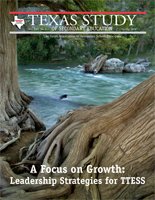 The Association’s professional journal, the Texas Study of Secondary Education, is published in the fall and in the spring and mailed to over 5,700 members. Each issue focuses on topics of interest to secondary school administrators with authors ranging from experienced members to nationally-recognized experts in education. By placing ad copy, exhibitors can use the Texas Study to encourage traffic and promote interest in their booth at the subsequent TASSP Exhibit Shows. For those companies who don’t exhibit at workshops, an ad provides a way to reach all TASSP members. June 12-14, 2019, Austin Convention Center | Advertising in the TASSP Summer Workshop program provides the opportunity for exhibitors to place contact information, coupons and other timely announcements to over 2,600 conference participants. It also allows exhibitors to build good customer relations and to increase attendance in the TASSP Exhibit Shows. Contact Ofra Levinson for more information: 512-443-2100 x8507.